With all the money you’ve already invested into your website, and the free marketing tools available through social media, you might wonder if it’s worthwhile to invest in pay per click advertizing. The answer is yes for most websites and businesses interested in driving traffic their way. Start by launching a pay per click (PPC) campaign for your website on a trial basis and you’re sure to be pleasantly surprised with the results. 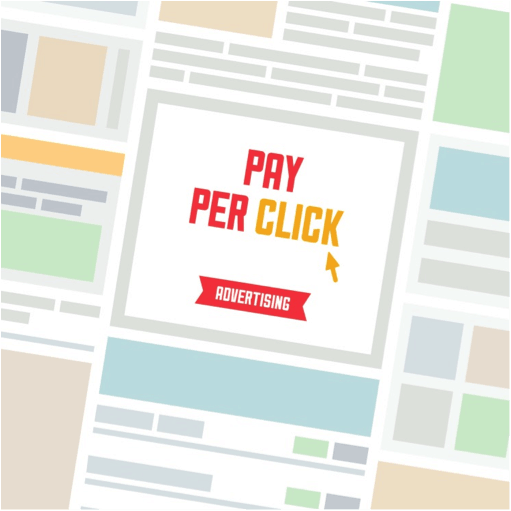 Because you don’t have to pay for ads that don’t result in clicks, pay per click advertizing fits any budget. The more successful your campaign, the more it will cost, but because of the nature of PPC, the budget won’t get out of hand. There are also platforms that allow you to cap the campaign at a pre-determined budget. For example, if you want to spend no more than $100 a month, the ads will stop once they’ve met that quota and start again the following month. One of the greatest challenges a marketing team faces isn’t necessarily getting the word out — with enough money, you can get your website’s name virtually anywhere — but getting the word out to the right people. Advertizing is more effective when it targets the right audience, the primary targeted demographic for your website. It costs less, too, to focus advertizing where it’ll do the most good. PPC is tailor made for targeted marketing. Advertize only on websites relevant to your industry, or where you’re sure to find members of your target audience browsing. See up-to-the-minute feedback on which sites are producing the most follow-through clicks and adjust your campaign appropriately. Another advantage of PPC even with so many online marketing options is its adjust ability. If you’re noticing an increase in traffic due to the success of your ads, you may want to up the budget for the month to post more ads. If you’ve had a tough month and want to spend less, just log into your account and lower the budget. Focus more advertisements on the one or two sites that produce the most drive-through traffic or spread your cash to a dozen or more sites and see if you can unearth more websites that result in big click-through numbers. Since you don’t have to pay for ads that aren’t clicked, there are no drawbacks to taking a few risks and trying new websites; you can quickly adjust the campaign if the budget gets unwieldy. Many marketing campaigns take weeks, if not months, from idea to implementation. There’s the discussion about where to advertize and how to advertize. There are committee approvals and seeing how the campaign does in a limited area. PPC launches the same day you sign up for it. You might have to come up with a graphic and/or a slogan that encapsulates your website, but otherwise, you can have as much or as little input on where your advertisements appear as you like. Simply fill out forms about your target audience, and the PPC management service can find relevant websites. Or you can select websites from a list of ones relevant to your target audience yourself and watch it like a hawk, adjusting which websites you advertize on as you please. You can pause the campaign at any time and launch it again quickly when you’re ready. Because you don’t pay for any advertisements that don’t result in click-throughs, there’s no need to pay anyone for advertizing space upfront. Some PPC management services ask that you put money in an account from which your charges can be deducted, but that money is often as much or as little as you like. Other services simply send you a bill at the end of the month. If you don’t have much cash now, PPC is one of the most affordable ways to get your website out there. The B2B Lead Roundtable Blog reported that in 2012, 91 percent of almost 2,000 marketers surveyed found that PPC was effective, more effective than almost every type of online marketing — including social media. Webmasters who focus solely on social media advertizing for fear of getting too technical in marketing or spending too much money are missing out on what’s easily one of the most controllable expenditures in marketing, not to mention one of the most effective. Give PPC a trial run for your website; it requires less work and money than you might have thought. About the Author: Mildred Naylor is an arts and entertainment blogger with a background in marketing. This entry was posted in Digital Marketing and tagged marketing on January 27, 2014 by The Core Team.